Today, we just brought for you an amazing Loootz deal. So, here's few steps that you've got to followed up and yes if you done this in right way then I'm sure that You'll receive that calendar. Send or Compose an Email to the following Email ID with the Subject and Body. 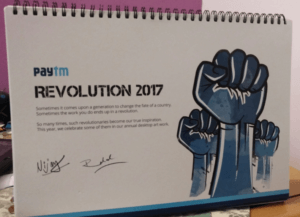 If you've done this above steps then You'll got Paytm Revolution 2017 Calendar. We always try to ensure our users which they'll get genuine and working deals. For more Loootz Deal, visit our blog daily and share blog with your friends and family to never miss any deals.